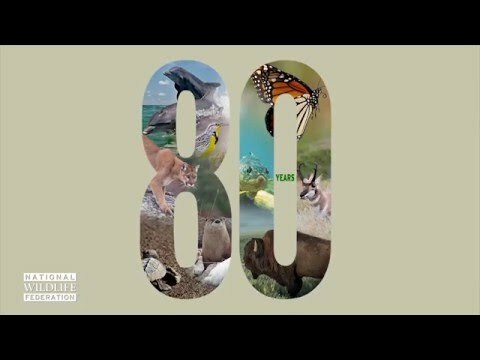 Over the last eight decades, the National Wildlife Federation has been a part of many conservation successes. As we honor our 80th anniversary this year, we are celebrating individuals that help us continue to move wildlife conservation forward. On April 14, supporters and staff gathered to acknowledge the contributions of several such individuals over a luncheon in the same ballroom where our founders first came together. The historic Mayflower Hotel served as a perfect reminder of how far conservation has come and how much there is still left to achieve. Joined by a colorful collective of animal ambassadors introduced by naturalist David Mizejewski, president and CEO Collin O’Mara presented awards to Martha Darling, Lowell E. Baier, and EPA Administrator Gina McCarthy. Darling, who follows in the footsteps of her relative, NWF founder Jay N. “Ding” Darling, brings her political passions to the national wildlife advocacy scene. Over the past 20 years, Darling has built power and clout for conservation, and as she accepted the National Conservation Achievement Award, she encouraged all citizens to step up to engage in solving wildlife’s “unsolvable” problems. Baier, the recipient of the Jay N. “Ding” Darling Conservation Award, has spent 52 years in volunteer service, political and social activism for wildlife conservation. 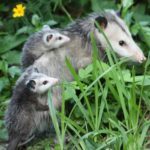 The focus of his next book, threatened and endangered species, has led him to conceive the term”genucide” — the loss of species of endangered wildlife, flora and fauna from the acts of man. Baier challenged NWF and supporters to rally around our environmental conscience and work across party lines to live our legacy and be the voice for conservation. In her 30-plus-year career, Administrator McCarthy, our Conservationist of the Year Award honoree, has worked on the national, state, and local levels to support common-sense strategies to protect public health and the environment. She reflected on the progress we have made in recognizing water quality issues, and called for a re-commitment of all who care about clean water to protect our nation’s rivers and streams, to ignore partisanship, and to work together for our communities to solve our continuing water problems. At a reception held at the Stewart R. Mott House on Capitol Hill later that evening, two additional National Conservation Achievement awards were bestowed upon Senator Tom Udall and Congressman Mike Simpson for their work with NWF over the past year. Sen. Tom Udall (D-NM) was recognized for his leadership advancing reforms to the Toxic Substances Control Act and for protecting, defending and securing funding for public lands. Rep. Mike Simpson (R-ID) was recognized for his leadership championing legislation to protect the Boulder-White Clouds, which resulted in the federal protection of more than 275,000 acres of prime hunting, fishing and wildlife habitat in Idaho. We will continue to celebrate achievements of citizen conservationists as the affiliate members of the Federation come together in June in Estes Park, Colorado for our 80th annual meeting and bestow honors on additional awardees for their contributions to environmental conservation.